Does My Bed Have Bed Bugs? 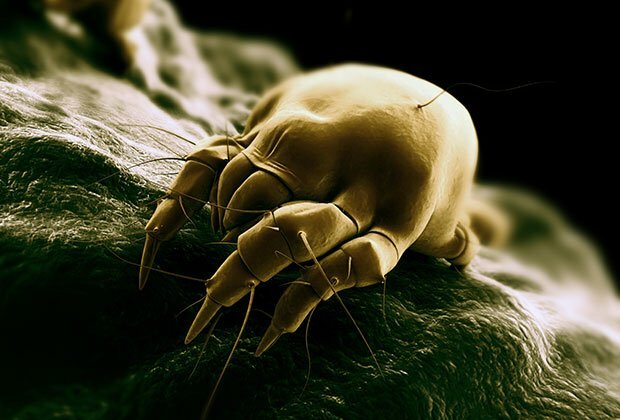 Bed bugs are small insects that take up residence in soft furnishings, particularly mattresses. They feed on the blood of warm-blooded animals, including people. It’s common for people to have allergic reactions to bed bug saliva. If you suspect that you have bed bugs in your home, it’s crucial that you eradicate them quickly, before they reproduce and spread. Bed bugs are small, non-flying insects that feed exclusively on the blood of mammals – making humans the perfect hosts. Most bed bugs will feed while their host is asleep. While feeding the bed bug will inject a small amount of saliva into the host’s skin. Hosts can develop a sensitivity to bed bug saliva, and may experience an intense allergic reaction. Bed bugs most commonly enter the home on clothing, in luggage, and in second-hand soft furnishings. However, they can also move between apartments through holes in walls and through pipes. Bed bugs feed every five to ten days, and a well-fed bug can live for six to nine months. However, bed bugs can survive in a dormant state for over a year. 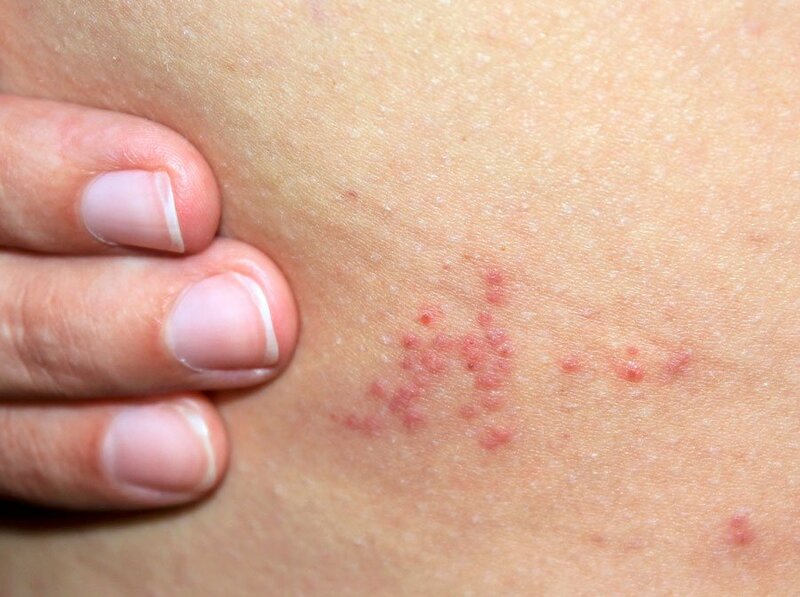 The first sign of bed bugs is usually bites. A bed bug bite can take between a couple of hours and two weeks to appear. Unlike flea bites, these bites do not have a red centre, and will usually appear in a row of two or three. Bites can become swollen, and may be itchy. Although bites do not require medical treatment, steroid creams and oral anti-histamines can alleviate symptoms. Adult bed bugs, hatchlings and eggs are all visible to the naked eye. Adult bed bugs are about 5 to 7 millimetres long, range in colour from white to orangey-brown and are oval and flat in shape. A female bed bug lays about five eggs a day. These milky-white eggs take about two weeks to hatch, and the newborn hatchlings are about the size of a poppy seed. Other signs of bed bugs include blood spots on bedding, dark brown or reddish faecal spots or dark droppings, egg casings and shed skin. A musty, coriander-like odour may also be present. 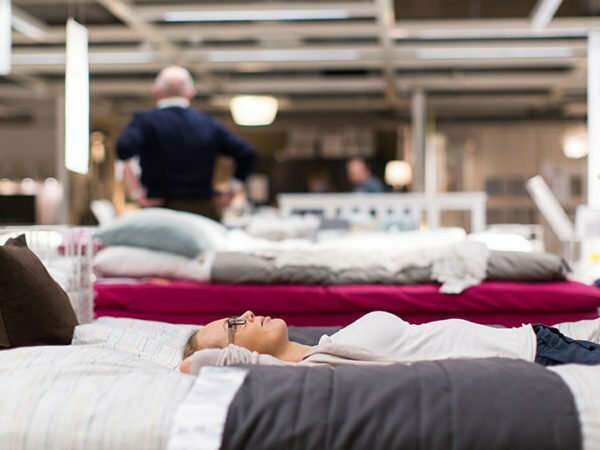 To prevent bed bugs infesting your furnishings, always inspect second-hand clothing and soft furnishings before bringing them into your home. When you bring home second-hand curtains, cushions and clothing, wash them in hot water immediately. Reduce hiding places for bed bugs by filling and sealing any cracks and crevices where they could potentially hide – especially around your bed. 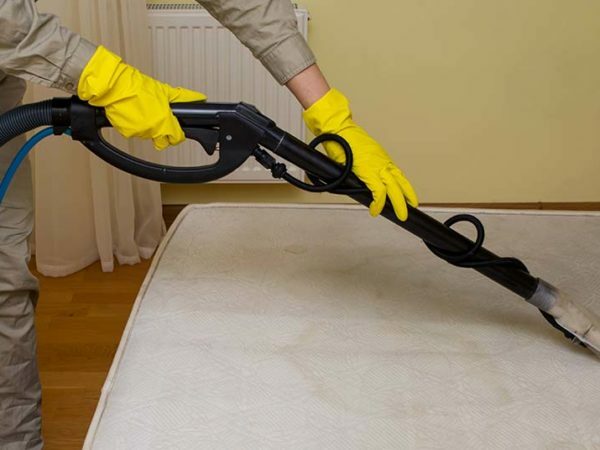 Regularly vacuum your curtains, sofa, carpets and mattress, and wash linen on high-heat settings frequently to kill bed bugs. If you suspect that your home has bed bugs, examine your bed linen, curtains, cushions, pillows, mattress and soft furnishings carefully. Look inside appliances, around the edges of carpeting and in the corners of wallpaper. Also examine laundry baskets, drawers and clothing for any signs of the bugs. 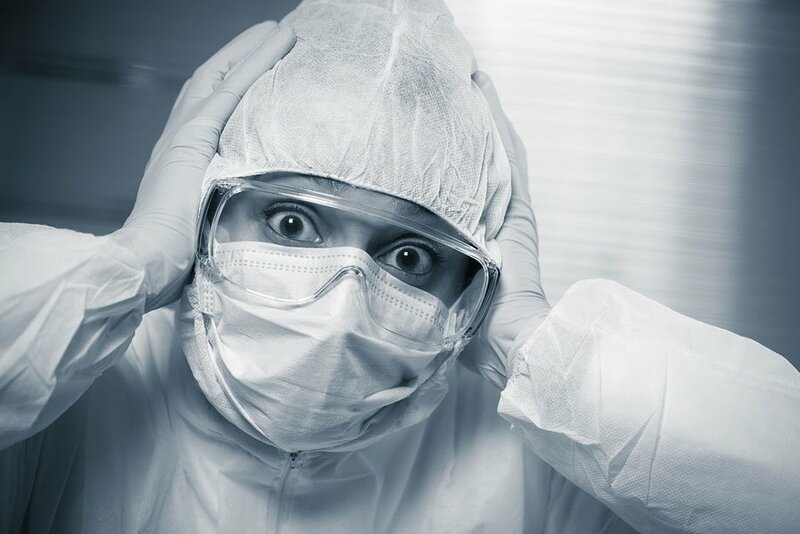 Bed bugs aren’t easy to eradicate, so it’s best to hire a professional to get them under control. Professionals can advise you on whether or not you can save your furnishings, and provide deep cleaning to remove the bugs and their eggs. vacuum and wipe bed-frames, bedside tables, desks and other areas where the bugs may hide. 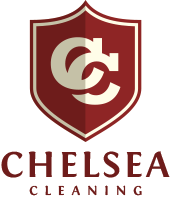 If you need help then contact us at Chelsea Cleaning for professional carpet, upholstery, curtain and mattress cleaning in Cape Town.